For festivals, look no further than the country of Spain for an exciting reason to celebrate. With as many as 50 festivals to celebrate thoughout the year, a person could literally take in a festival somewhere in Spain just about any week of the year. For me, I have my favorites for no particular reason other than when I took part I had a good time and made good memories. For example, the Fallas Fiesta in Valencia in March offers amazing fireworks that end in a massive burning of papier-mâché effigies. 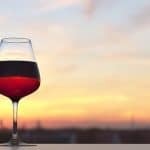 Madrid’s San Isidro Festival brings together all the best matadors in the bull fighting ring, And for wine lovers, the many Wine Festivals beginning in August to October throughout Spain are just one more reminder of the Spanish people’s love of life and good drink. Valencia’s Las Fallas really is the best time to visit the city. Taking place the week of March 19, Las Fallas preparations go on all year long, and by March Valencia is transformed for the big event. 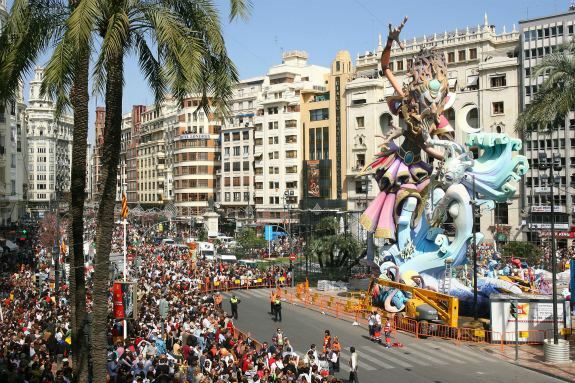 It is something akin to Mardi Gras – when visiting it’s hard not to get caught up in the Las Fallas revelry. 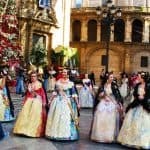 Valencia’s Fallas is by many the most eagerly awaited time of the year and that’s for visitors and as well as residents. Every city in Spain has a big festival, but Valencia’s Las Fallas feast is the festival of all festivals. The city swells from 1 million to a whopping three million in town to enjoy the celebration. Las Fallas means “the fires” in Valencian, and the Las Fallas fiesta is all about the creations of ninots or puppets sometimes several stories tall. These ninots are made from huge cardboard, wood, paper-machè and plaster statues and are created to lifelike to depict bawdy, satirical scenes and current events. The streets are filled with these works of art, which compete in ingenuity and creativity. On the final night of Fallas an epic end awaits these figures – fire. The ninots are placed in the appropriate locations around the city during the week and remain there until March 19th, the day known as La Cremá or “the burning.” The burning begins in the evening when the men of the city take axes and chop holes in the statues and put fireworks inside. From here the ninots are ignited creating a spectacle that is unmatched around the country. Besides burning the ninots other Las Fallas activities in Valencia include bullfights, parades, paella contests and beauty pageants. Las Fallas (in photo at top) is considered the most unique and crazy festival in Spain. One visit during this celebration and you will likely be hooked and return again and again. Another Spain tradition that many tourists find irresitable is Madrid’s San Isidro Festival that takes place around May 15th each year. Not only is it the perfect time to see Madrid’s residents dressed in typical fine costume ala Madrid of yesteryear, but the inhabitants of Madrid, also called chulapos and goyescos, take to the streets to enjoy the music and regional dancing called the chotis. Special tip: The best vantage point for San Isidro as a spectactor is a place called Las Vistillas, located beside the Puente de Segovia bridge. There is also the much revered San Isidro bullfighting festival held at the Las Ventas Bullring. While I can’t stomach it, if you’ve never seen a bullfight and want the cultural experience, this is the time and the place to do it. Between May 7-25, you’ll be able to choose from 25 bullfights and a glimpse of some of the best matadors in the world. The highlight of the falls on May 15th when folks gather next to the Manzanares River to make a special pilgrimage to the shrine of Saint Isidro and drink from the nearby spring. This is a big tradition and worth doing to get into the spirit of the festival. Families enjoy picnics in the Pradera later in the day, and food stalls are set up serving the typical donuts known as a tontas (translation: silly ones), listas (translation: clever ones), and de Santa Clara, donuts with a dusting of icing sugar for the sweet tooth. During the week of the festival too there are concerts and street parades in Madrid’s city center and best of all, it’s all FREE. Being a wine junkie, the Wine Harvest Festival particularly appealed to me in the latter part of the year. It is also an excellent way to get to know the variety of wines throughout Spain during the harvest season. 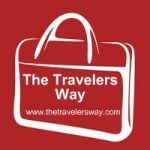 There are many different options and ways to enjoy the various wine festivals taking place around the country, but getting on one of the Wine Routes will give you a chance to collect and stomp the grapes as well as enjoy some great wine tasting opportunities no matter what part of the country you find yourself. The Navarre Wine Route in northern Spain is where the Navarre Wine Harvest Festival is held every September. You will find the major celebration for this festival in the town of Olite complete with concerts, tasting sessions and shops holding window-dressing competitions in conjunction with wine harvest themes. Of course you can also trek through the vineyards on foot, by bike or horseback and while I wouldn’t do it, a wine route balloon flight might also be on the agenda. The Penedès Wine and Cava Route in Catalonia features the Catalonia Wine Culture Museum and the not-to-be-missed Parés Baltà, Can Feixes and Capità Vidal wineries. The Jumilla Wine Route is in the Murcia region in southeastern Spain. Its Wine in the Andalusian features my favorite Spanish pastime – flamenco. Here you’ll find a Flamenco tasting theme. The Tenerife Wine route is a little off the beaten path in the Canary Islands. The Insercasa Winery is one of the best in the world and in September you can take part in the nocturnal grape collection. 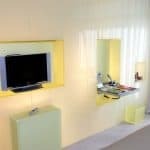 And who can pass up the Canary Islands for a little R & R too? Once you get to know the many festivals in Spain, you’ll come to appreciate and enjoy the many themes and celebration. It’s a little bit like opening birthday presents all year long, because in Spain, after all, there is always a reason to have another celebration. 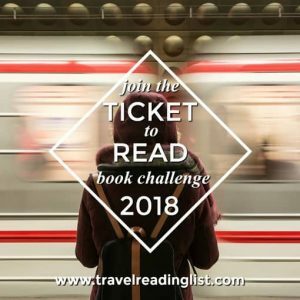 NOTE: The author received some assistance from the Spain Tourist Office in attending these festivals; the enjoyment and opinions are all her own. Next post: Borrego Springs: Can You Keep A Secret?